Classic rock? Prog rock? Heavy metal? Whatever floats your boat, On the Blue is singing your tune with a 2019 rock music cruise filled with round-the-clock performances by music legends and tons of artist events and meet and greets. If there was one album that defined my teen years, it would have to be Close to the Edge. Little did I dream that in four short decades (damn, I’m old), I would be able to Cruise to the Edge with Yes and a shipload of other prog-rock masters aboard the massive Brilliance of the Seas! So tune up the mellotron and shake out your cape: Cruise To The Edge sets sail from Tampa to Key West and Cozumel on February 4, 2019, for five nights of preeminent prog featuring live performances by Yes, along with Steve Hackett, Mike Portnoy, Fish (former lead vocalist of Marillion), Riverside, Pendragon, Soft Machine, and more. Beyond the sun, fun, and exquisite dining aboard Cruise to the Edge, prepare yourself for artist/cruiser photo experiences, Q&A sessions, special theme nights, and other fab fan experiences. If you missed the previous Moody Blues Cruises, they’ll be doing it again next year! Sort of. From February 10-15, 2019, Mariner of the Seas will host the first-ever On the Blue Cruise, an explosive rock festival at sea hosted by Justin Hayward of the Moody Blues. And Justin will be rockin’ the boat with iconic classic rock artists including The Zombies, Al Stewart, The Orchestra, Procol Harum, The Vanilla Fudge, Alan Parsons, Dave Mason, and many, many more! 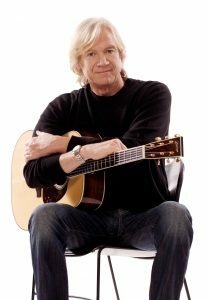 For Moody fans, Hayward is creating live performances especially for the cruise, featuring songs from his solo archives along with deep cuts from five decades of Moody Blues material. 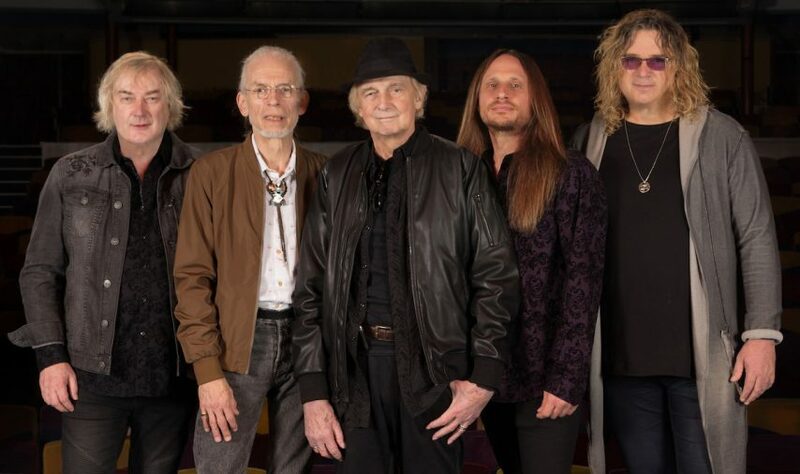 Attendees can expect some familiar faces from Hayward’s past to join him on stage, along with a variety of classic rock legends. 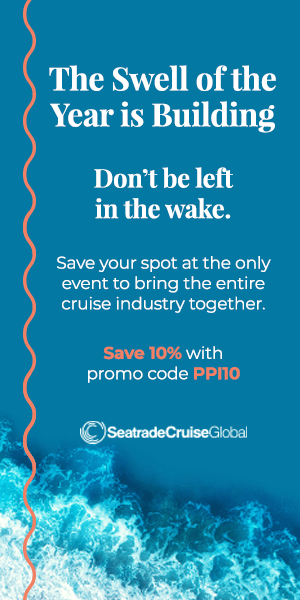 This 5-night cruise will set sail from Miami and call at Nassau/Paradise Island, Bahamas, and Royal Caribbean’s private island, Labadee. Visit www.onthebluecruise.com for additional information. FOR THE METAL MANIAC! 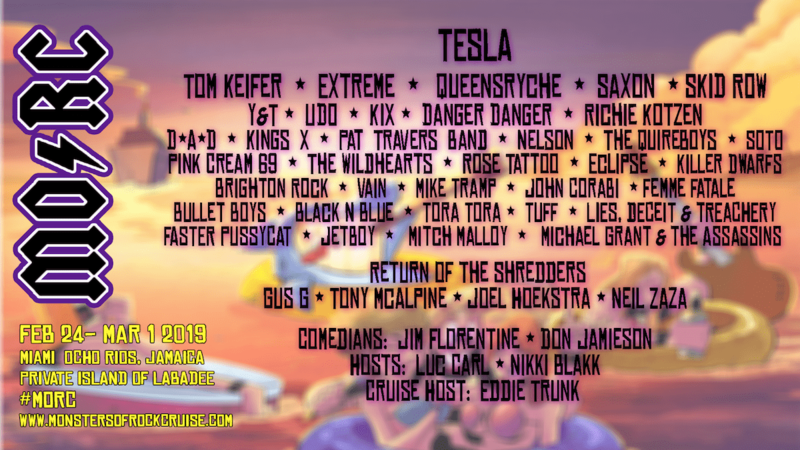 : MONSTERS OF ROCK (February 24 – March 1, 2019, Mariner of the Seas): Tesla…Queensryche…Saxon…Skid Row… Pat Travers Band… It almost seems like I’m flipping through a copy of Kerrang! magazine, but I’m not. I’m actually checking out just a few of the heavy metal/hard rock masters who’ll be headlining…or should I say headbanging?… the 2019 MONSTERS OF ROCK CRUISE! This ain’t your grandma’s Caribbean cruise (and if you don’t believe me, check out this highlight video of last year’s Monsters of Rock sailing) This is five days and five nights of non-stop heavy-metal heaven setting sail from Miami on February 24 and cruising to Ocho Rios, Jamaica, and the private island of Labadee. Instead of shuffleboard and limbo contests, Monsters of Rock fills your sun-filled days and starry nights with a dizzying line-up of heavy metal performances and interactive events that let you get up close and crazy with some of your favorite artists.